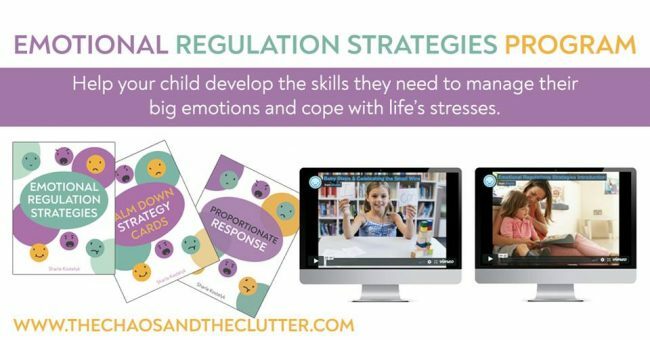 Emotional regulation is one of the most important skills you can teach your child. Without it, almost every aspect of their life will be negatively affected. Practise, practise, practise. 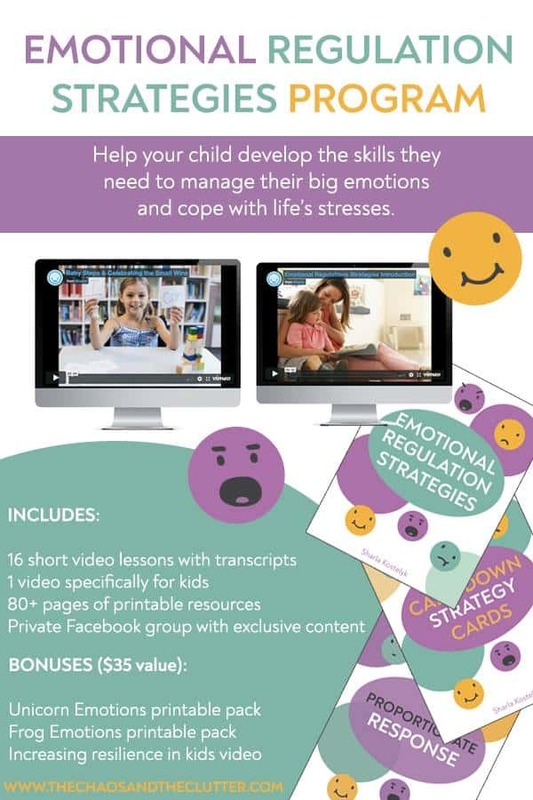 It takes time and a lot of practise for kids to learn to manage their emotions. Teach them to recognize and name their emotions. Arm them with calm down strategies that resonate with them. Each child is unique and what works for one child will not necessarily work with another. Celebrate the small wins along the way. 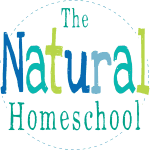 Give your child actionable strategies they can use. 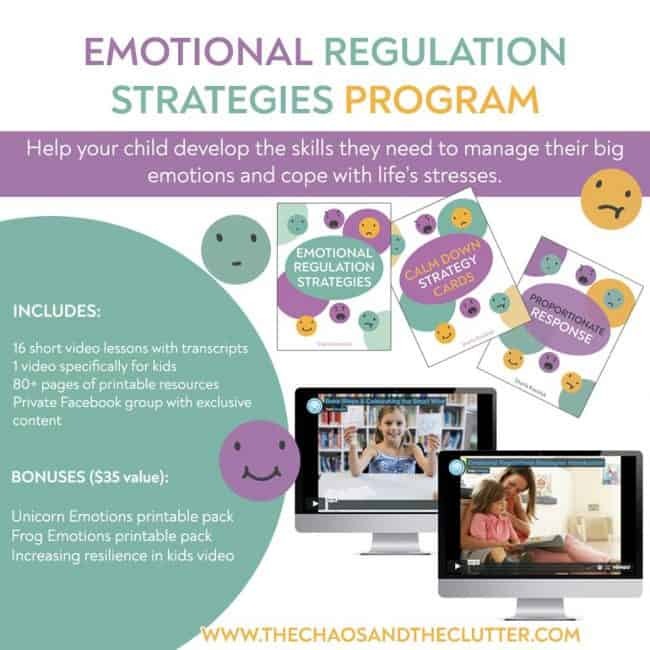 If you’re not sure where to start or you’re looking for strategies specific for coaching your child in emotional regulation, my friend Sharla has released a program that walks you through how to do just that. 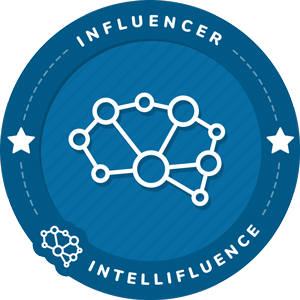 Get more information today. Click here. P.S. 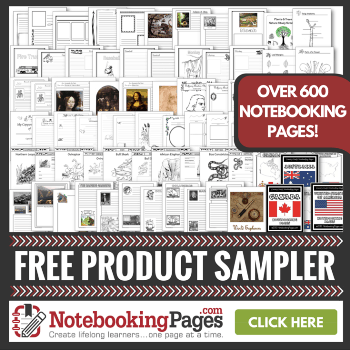 This special offer with bonuses goes away soon, so grab your spot now!